The NERP TE Hub is a partnership between research providers and a diverse range of research users, including government agencies (Commonwealth, State), management authorities, Natural Resource Management bodies, conservation NGOs, regional industries and Indigenous groups. Other research providers will make significant contributions to selected projects, notably the Australian National University and Griffith University. The primary user of outputs and products from the NERP TE Hub will be the Minister and Department (multiple branches) of Sustainability, Environment, Water, Population and Communities, management agencies such as the GBRMPA and TSRA, and Commonwealth programs such as Reef Rescue. The Queensland Government will be both research provider (DEEDI, DERM) and another key research user through the Reef Plan and WTMA. Sixteen Local Governments in northern Queensland also stand to benefit from incorporating Hub information into their planning processes. In other roles, government agencies will contribute significantly to knowledge brokering and communication functions, potentially adding additional in-kind resources to this component of the program. Industries such as tourism, agriculture, fishing, ports and shipping, mining and urban development are significant users of North Queensland’s environmental assets. 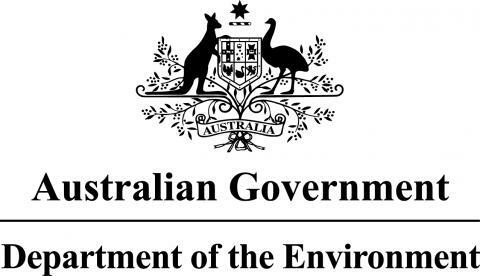 Their individual approach to on-ground environmental management is a significant driver of ecosystem and biodiversity conservation in the North Queensland region. To achieve the outcomes desired by the NERP TE Hub, it is essential that these industries are engaged and see value in the Hub’s Research Program. The NERP TE Hub, through historical antecedents, has history of formal and informal engagement with traditional owners in northern Queensland including the Torres Strait. The latter has solid structures for governance and external engagement. The Hub will plan, prosecute, and deliver its results for the Torres Strait in close consultation with the TSRA and traditional owners. As a result of the MTSRF program, the NERP TE Hub has established working arrangements with the Northern Gulf Resource Management Group, TSRA’s Land and Sea Management Unit, Terrain NRM, Cape York Sustainable Futures, Cape York Peninsula NRM group, Burdekin Dry Tropics NRM, Reef Catchments NRM, and Fitzroy Basin Association. As with the other groups above, the NERP TE Hub will start with established working relationships with conservation NGOs, particularly WWF, PEW Trust and local groups (e.g. Cairns and Far North Environment Centre). Regional Development Associations and economic development organisations have an important role to play in framing future sustainable development for the region. The Hub will promote its research to these groups as appropriate. Hub researchers will undertake research with a large number of different communities in northern Queensland, including those in Torres Strait, and the same high standards of ethics, attribution and acknowledgement will apply across the board.